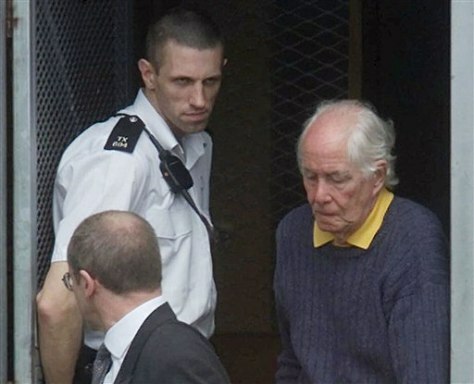 Ronnie Biggs surrendering to authorities in 2001. Britain's Justice Secretary Jack Straw said Thursday that he decided to release Biggs from prison because he is seriously ill and not expected to recover. Biggs turns 80 on Saturday.